MOSCOW, July 25. /TASS/. The Project 955 first nuclear-powered submarine Yuri Dolgoruky is set to undergo medium repairs, Zvyozdochka Shipyard CEO Sergei Marichev told TASS on Wednesday. "A day is not far away" when the first fourth-generation nuclear-powered submarine arrives in Severodvinsk, he said. "There are no doubts that the repairs of the Yuri Dolgoruky should be carried out at the Zvyozdochka Shipyard," he stressed, without specifying the repairs timeframe. The submarine Yuri Dolgoruky traveled thousands of miles back at the stage of its trials before it entered service with the Russian Navy, the Zvyozdochka Shipyard chief executive said. Besides, "it was used quite intensively during its operation," he said. "When the Defense Ministry makes a decision to withdraw the ship for repairs, we will accept it," Marichev said. "In order to work legally with fourth-generation ships, we needed to request permission from the Defense Ministry for obtaining the relevant documentation. Now we have obtained this permission. Currently, permission is being considered for preparing the production facilities for the repair of fourth-generation ships," the chief executive said. 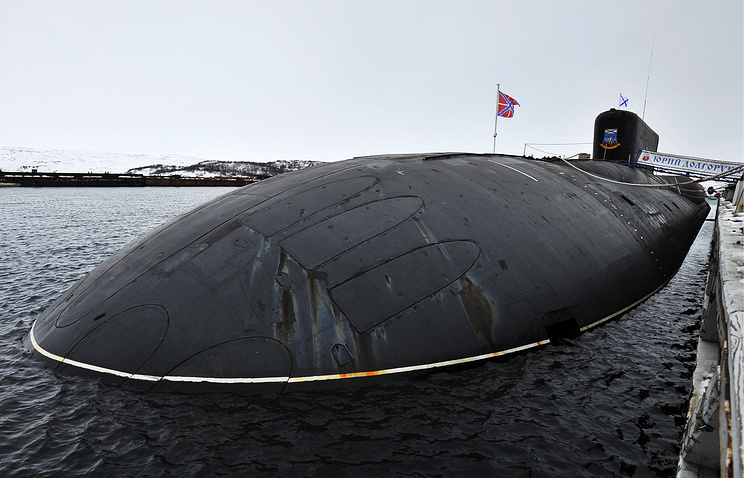 The Northern Fleet’s strategic underwater cruiser Yuri Dolgoruky is the Project 955 Borei-class lead submarine armed with Bulava intercontinental ballistic missiles and torpedoes. The sub can be furnished with cruise missiles. The Yuri Dolgoruky displaces 24,000 tonnes and is about 160 meters long and 13 meters wide. It was laid down in 1996 and accepted for service in the Russian Navy in 2013. This year, the Yuri Dolgoruky made the Russian Navy’s first successful salvo launch of four Bulava missiles from the White Sea, hitting the designated targets at the Kuru practice range in Kamchatka in the Russian Far East.